A landmark film in the portrayal of homosexuals, AIDS, and homophobia on film, Philadelphia crashes through long-established barriers and puts a human and heroic face to the long-suffering gay community. 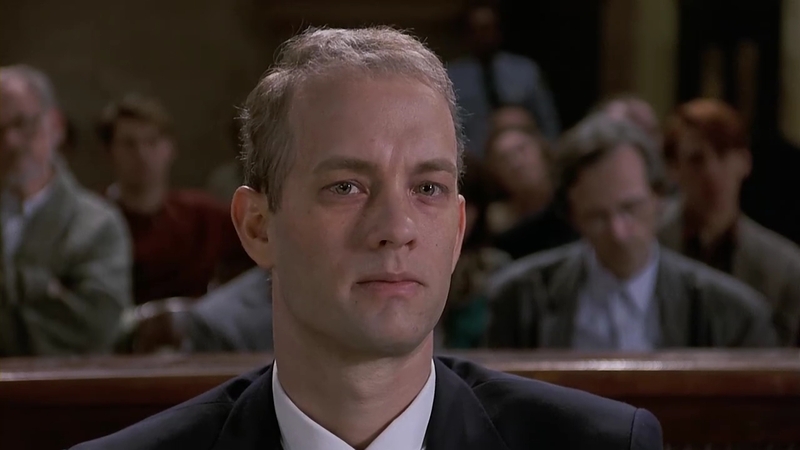 Lawyer Andrew Beckett (Tom Hanks) is a young rising star at his Philadelphia-based law firm. He is also gay and HIV positive, conditions that he withholds from his employer, including respected head of the firm Charles Wheeler (Jason Robards). When the signs of AIDS become unmistakable, Beckett is fired, purportedly for botching his preparations for a crucial case. 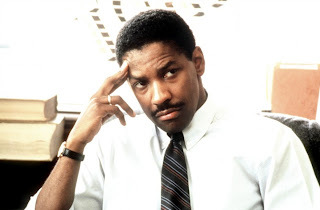 With no reputable attorney willing to help him, Beckett turns to ambulance-chasing lawyer Joe Miller (Denzel Washington) to represent him in a wrongful dismissal case. Initially reluctant and himself suffering from homophobic tendencies, Miller gradually moves past the labels and gets to know Becket's circle of family and friends, including lover Miguel (Antonio Banderas) and mother Sarah (Joanne Woodward). During court testimony, and with Beckett's health failing badly, Wheeler's lawyer (Mary Steenburgen) argues that Beckett was fired for growing incompetence, while Miller presents the dismissal as a pure case of discrimination against Beckett's sexual orientation. Loosely based on a true story, Philadelphia informs without preaching, Ron Nyswaner's script focusing on the characters and not shying away from portraying the harsh but typical slurs that gays routinely endure. The movie keeps its eyes wide open in chronicling the horrors of AIDS, and succeeds in presenting snippets of gay life as routine and mundane. Miller and his wife even get to attend a gay party at Beckett's house, and the event is no more or less interesting than any other party. Tom Hanks won a deserved Academy Award for his portrayal of Andrew Beckett. In a surprisingly physical role, Hanks frightfully wastes away from an energetic lawyer into a gaunt, diseased AIDS victim, dangerously thin, with hollow eyes and pasty skin. Washington's Joe Miller represents the era's pervasive man-in-the-street attitude towards gays, at best insecure and more commonly mistrustful and ill-at-ease. Washington injects plenty of soul into the film's main journey, as Miller treads carefully into a previously mysterious world and matures into a champion of anti-discrimination. Philadelphia's supporting cast is stacked with talent. Antonio Banderas is the passionate lover, Jason Robards the crusty old fox of a lawyer, Mary Steenburgen the icy defence counsel, and Joanne Woodward is marginally underused as Beckett's mother. They collectively make sure that Hanks and Washington have worthy foils and sharp sparring partners in every scene. Director Jonathan Demme pays equal attention to Beckett's professional legal and personal survival battles, the common thread in both being the struggle for dignity and acceptance. While the overall pace is brisk, late on Demme does get bogged into a few prolonged scenes designed for the sole purpose of inducing tears. These overly melodramatic moments take away from the essential matter-of-factness that successfully drives the film, as well as unnecessarily dragging the running time past the two hour mark. With his first ever song written for a movie, Bruce Springsteen also picked up an Academy Award, Streets Of Philadelphia an appropriately haunting and melancholy tune. Philadelphia may not be cinematically perfect, but it nevertheless a powerful achievement, and a milestone on the essential road to a more inclusive and more mature society.